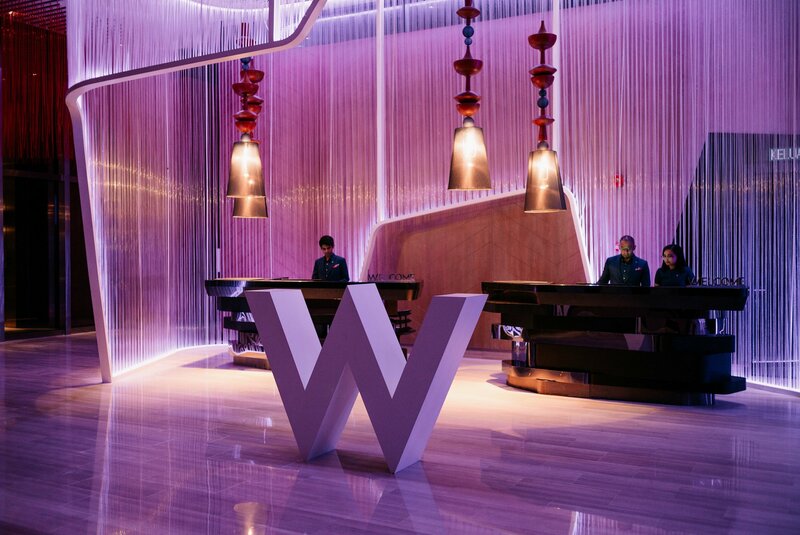 W Hotels Worldwide, part of Marriott International, Inc., held the grand opening of W Kuala Lumpur on 28 August 2018, marking the iconic brand’s first-ever hotel in Malaysia. Owned by Tropicana Corporation Berhad, W Kuala Lumpur is located just a few hundred metres from the world-famous Petronas Twin Towers. 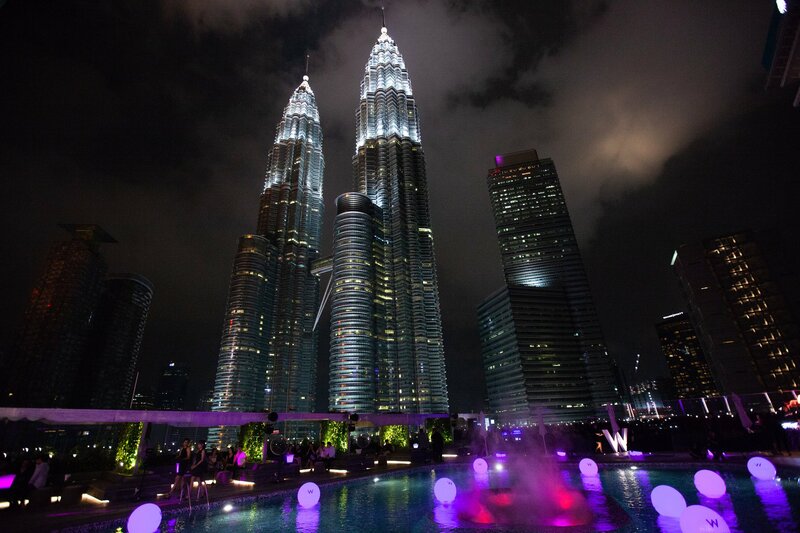 W Kuala Lumpur combines an inexhaustible mix of old and new colours, aromas and sounds that blend effortlessly together in a cultural festival for the senses. 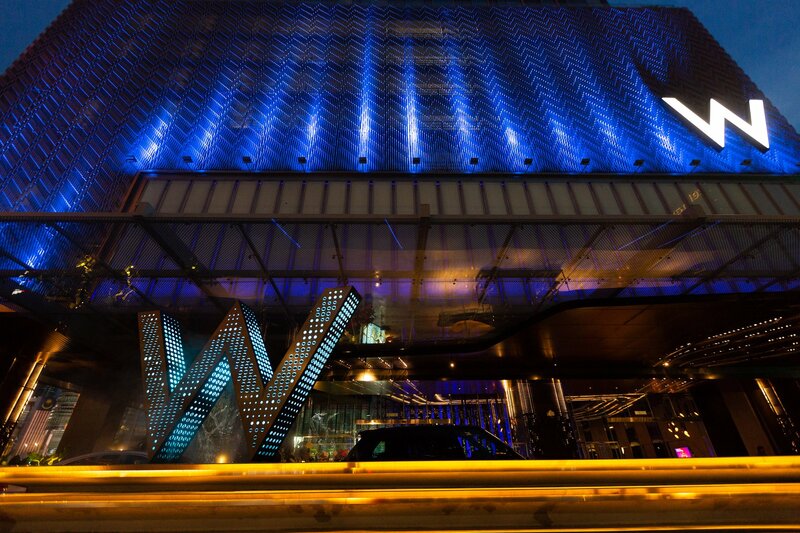 A distinct design feature at W Kuala Lumpur is the pixel – or dot. It is cleverly integrated throughout the hotel and is used to create a bigger picture inspired by a broader multicultural Malaysia made up of many ethnicities. Upon arrival, guests are welcomed by larger-than-life traditional batik motifs, a nod to ancient artwork of the region, blended with sleek metal accents. The city’s abundant plant life is pulled into the space via bamboo-inspired chandeliers set against an ever-changing wall of lights, a representation of the new technology that is enhancing the cityscape. At the Welcome area, guests check in among modern nods to the jungle. Streaming LED lights hang from above, playfully mimicking waterfalls, spotlights alternate along the floor like a flowing river while the ceiling patterns depict an artistic interpretation of Kuala Lumpur’s topography, and chandeliers show off the shapes of spinning Malay toys known throughout the country. 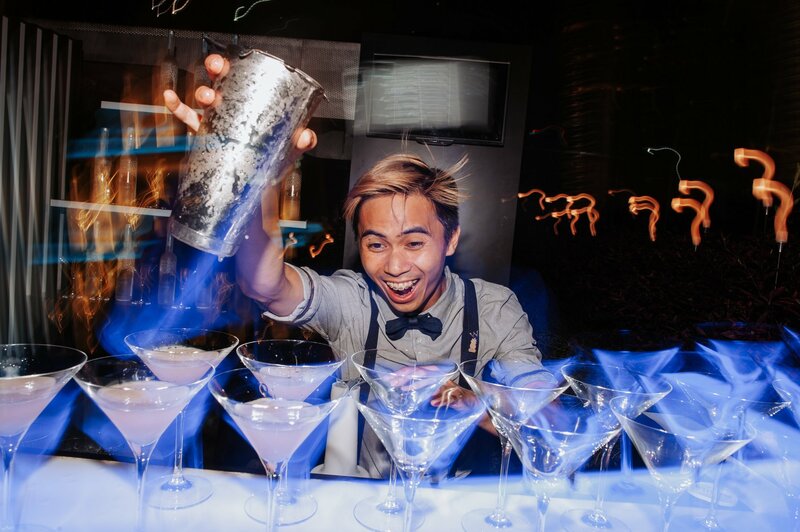 W Kuala Lumpur brings exciting additions to Kuala Lumpur’s booming, multicultural food and drink scene with six (6) diverse beverage and food venues. YEN offers an imperial ambience with a contemporary take on traditional Cantonese recipes and a wide selection of fresh seafood. The all-day dining restaurant, FLOCK, showcases an extensive open kitchen where expert chefs serve up Australian, farm-to-flock dishes featuring organic produce and a focus on sustainable eats. For inventive bar bites and meticulously crafted cocktails, WOOBAR is a chic all-day social space perfect to fuel up and stay longer. 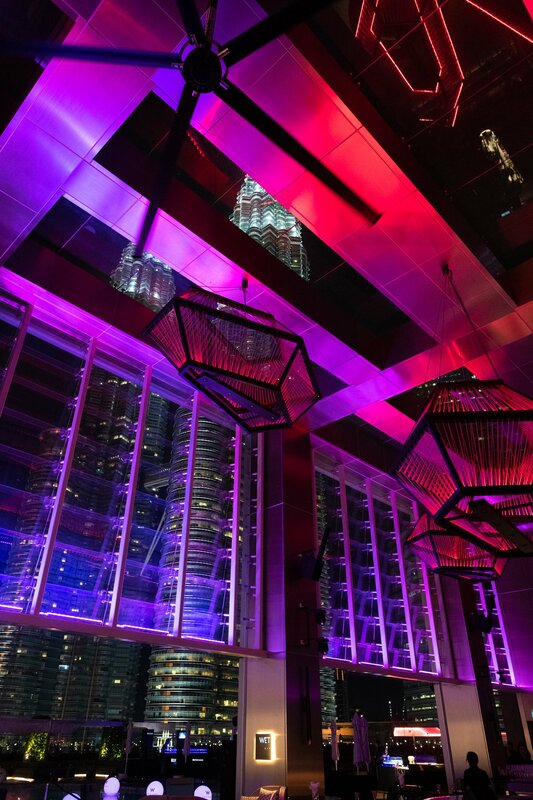 The WET® Deck pool bar features creative concoctions, with breathtaking views of Petronas Twin Towers as its stunning backdrop. 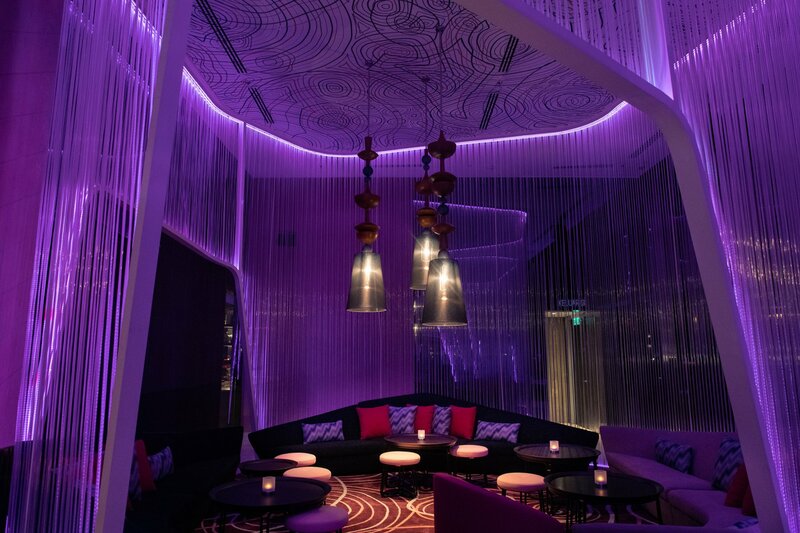 W Kuala Lumpur will also offer two privately-managed dining and entertainment venues including SAINT PIERRE, a 70-seat French eatery that has already earned a Michelin star at its Singapore location, and WICKED, the city’s newest VIP club, further amplifying Kuala Lumpur’s buzzing nightlife. W Kuala Lumpur adopts a bold approach to elevate events with over 1,500 square meters of function space including the 1,000-square-meter GREAT ROOM, that’s suitable for lively and vivid presentations, conferences, weddings, and product launches. 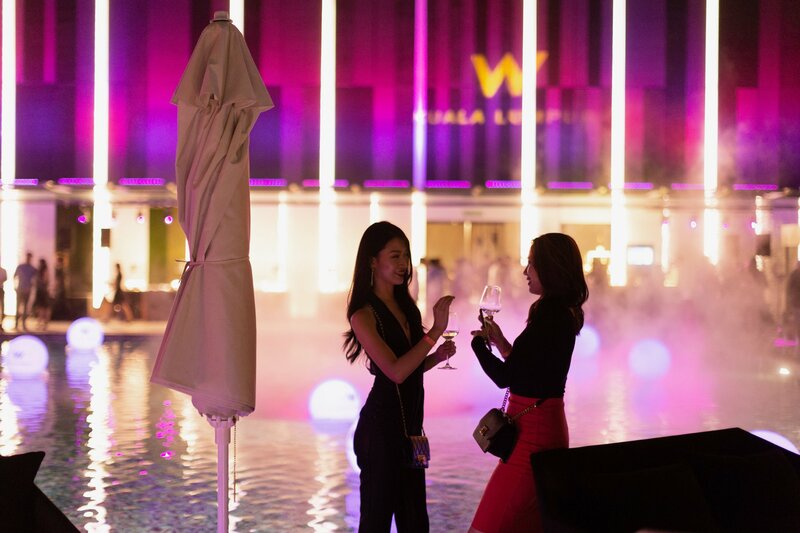 To celebrate the debut of W Kuala Lumpur, guests are invited to experience W and detox in style with rates that start from MYR850+ per room per night (subject to availability at the time of reservation). Images courtesy of Marriott International Hotels.